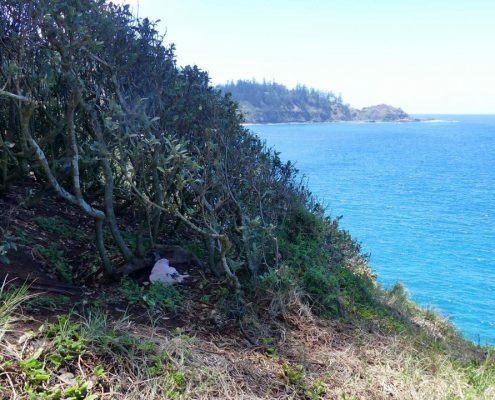 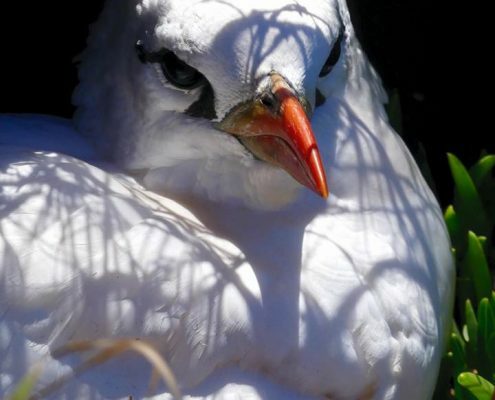 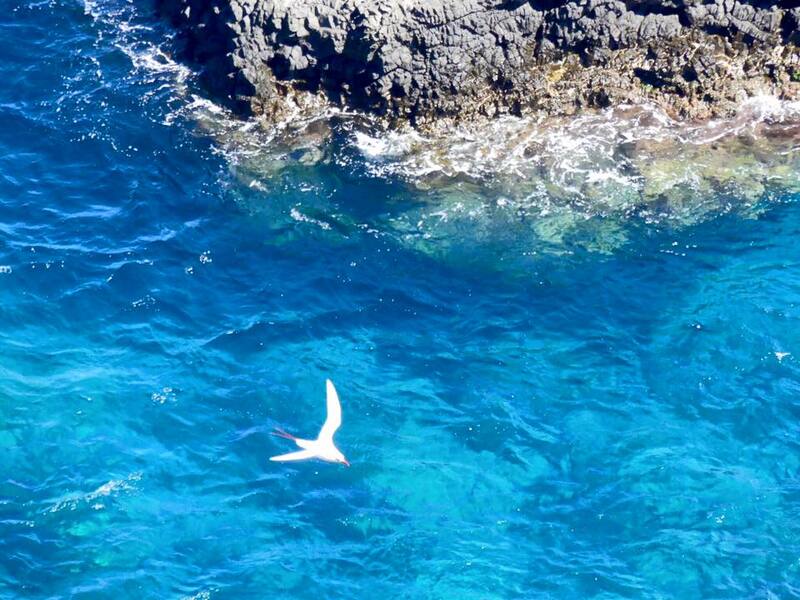 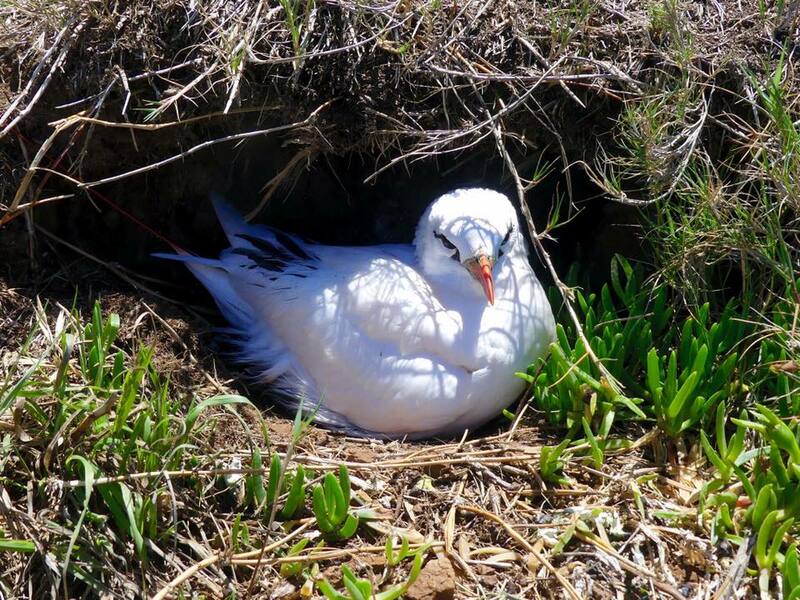 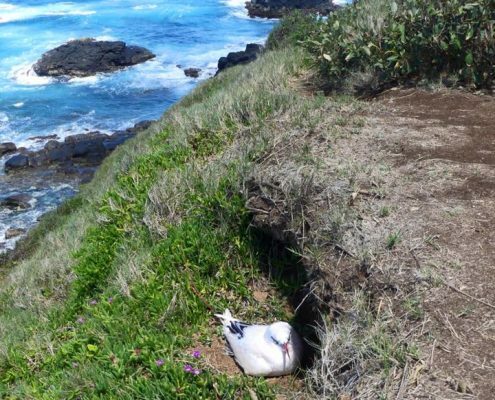 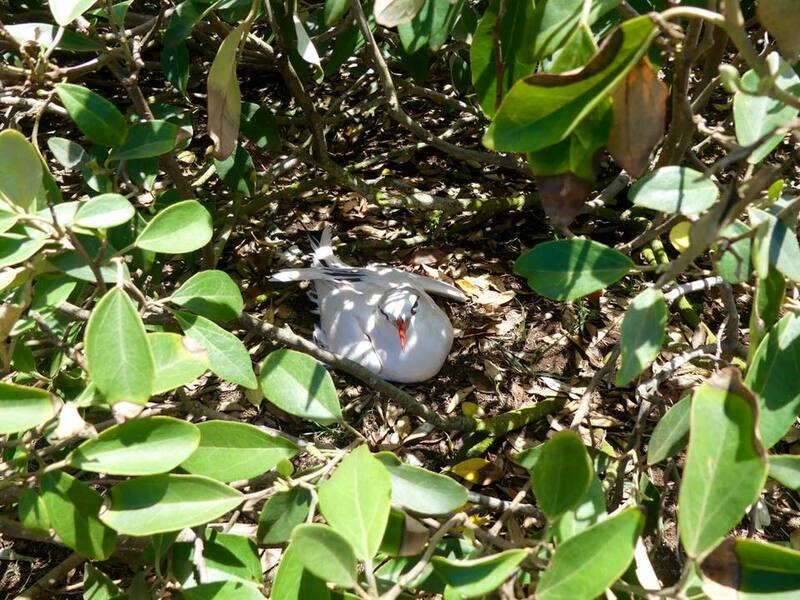 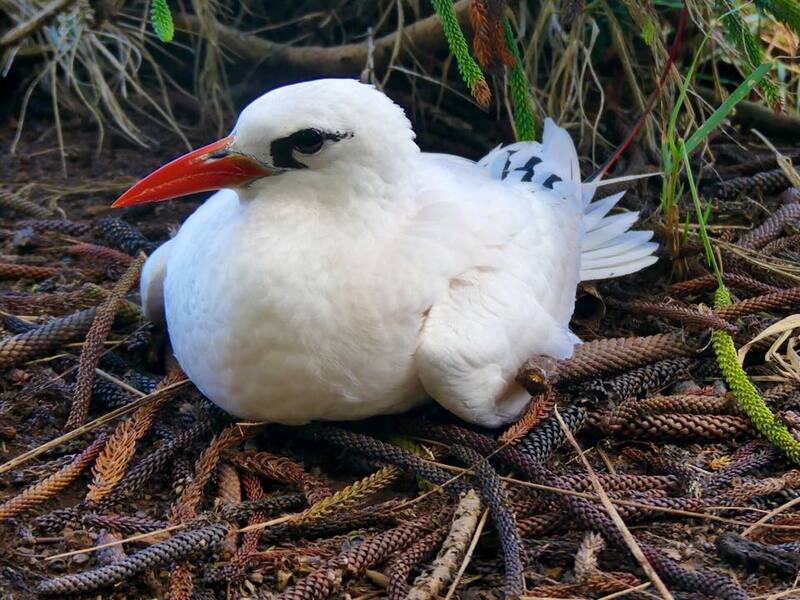 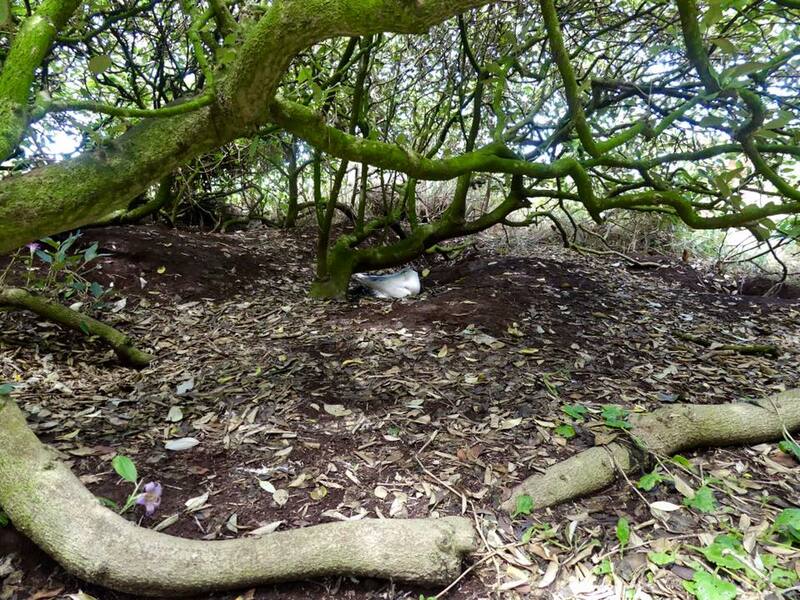 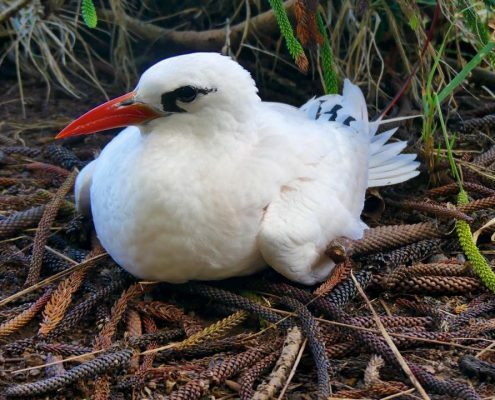 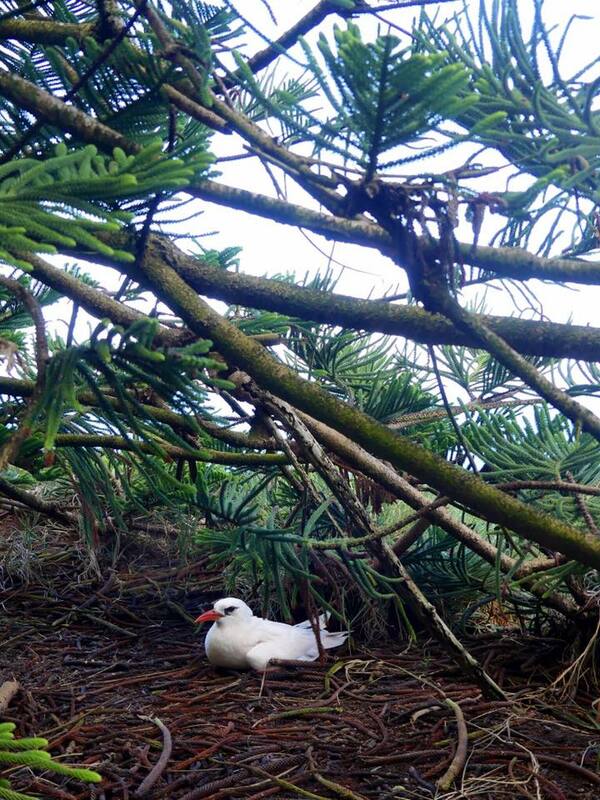 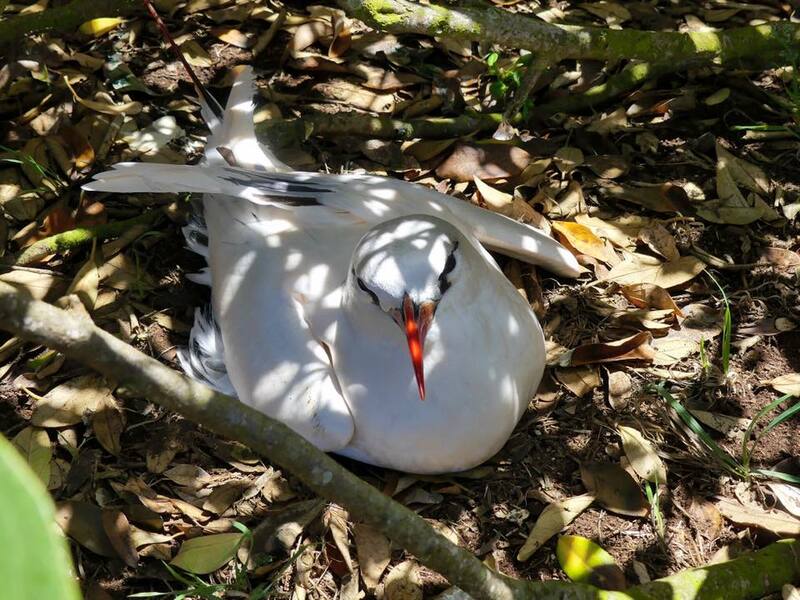 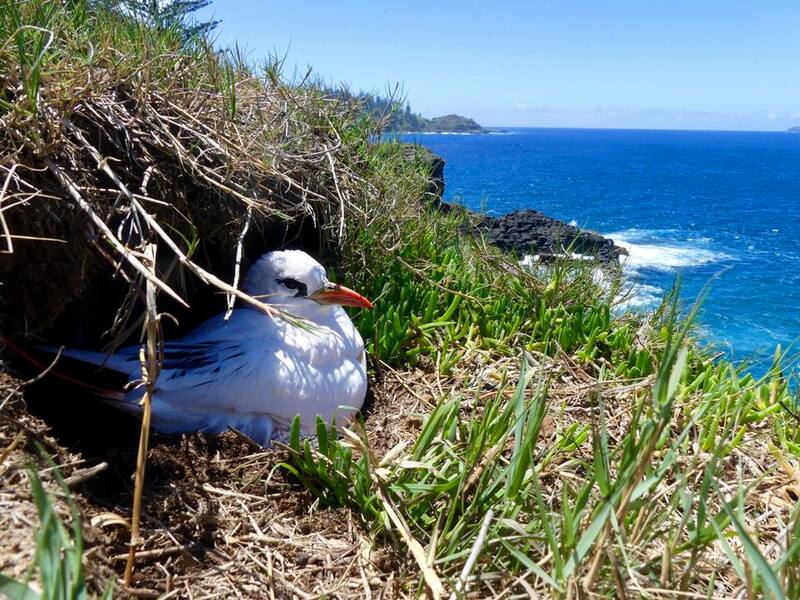 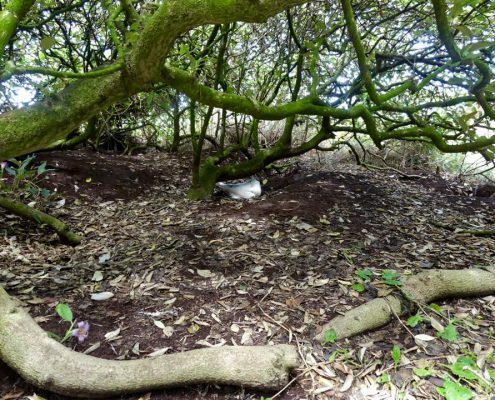 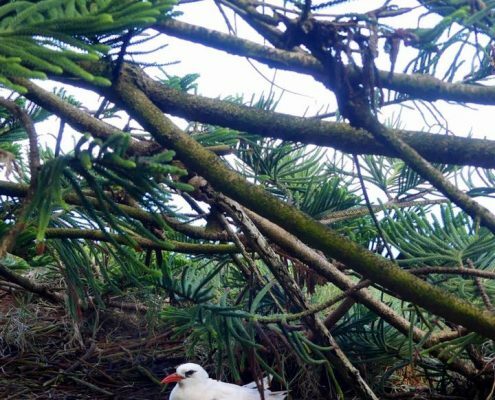 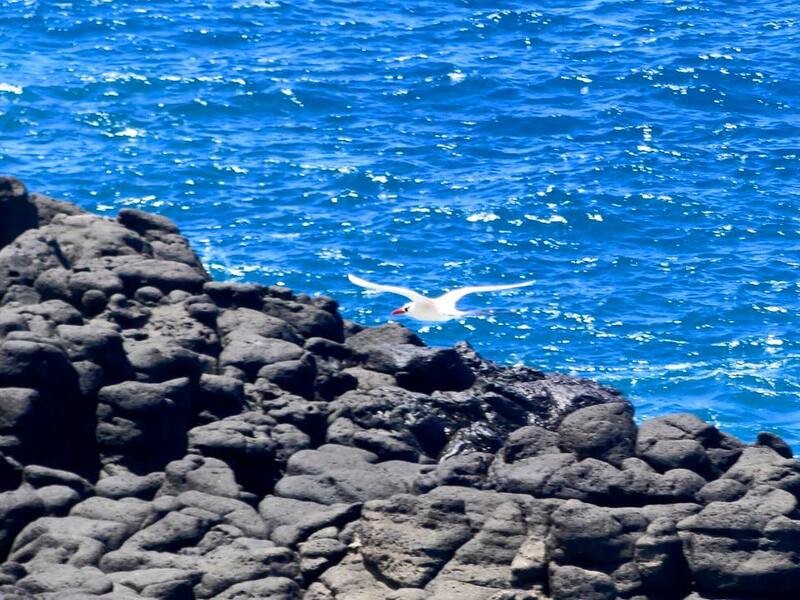 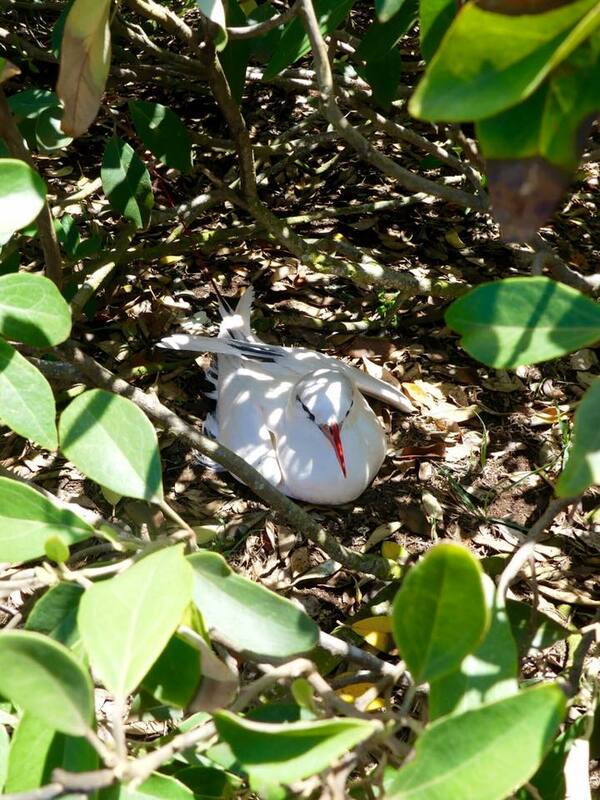 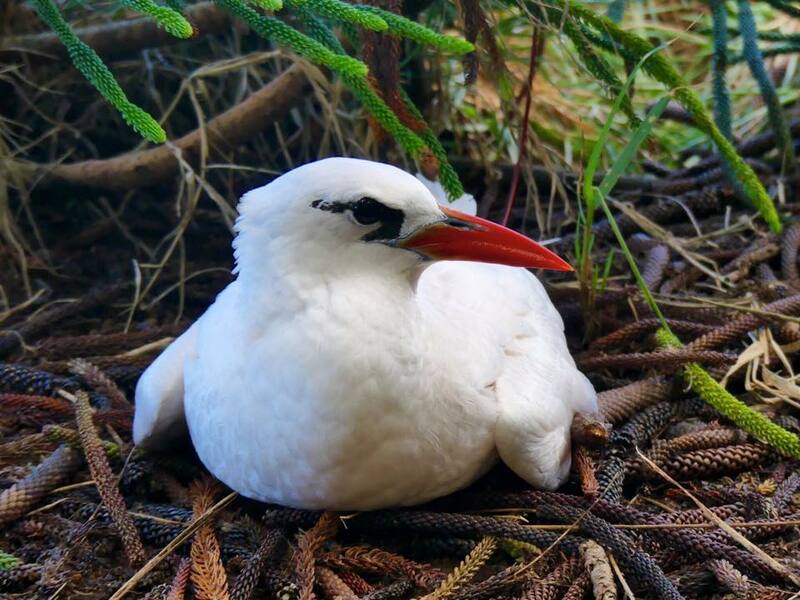 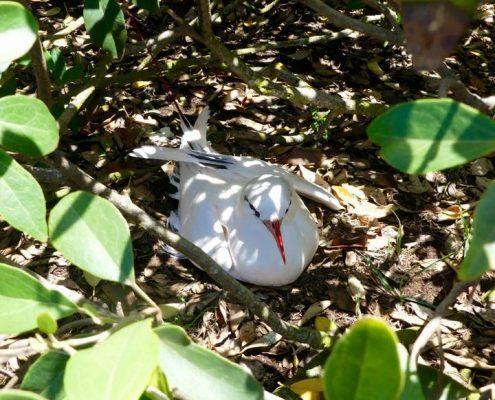 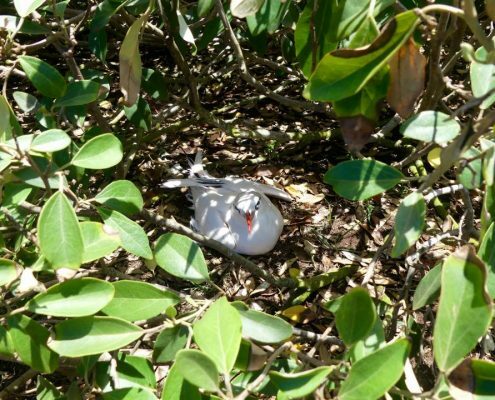 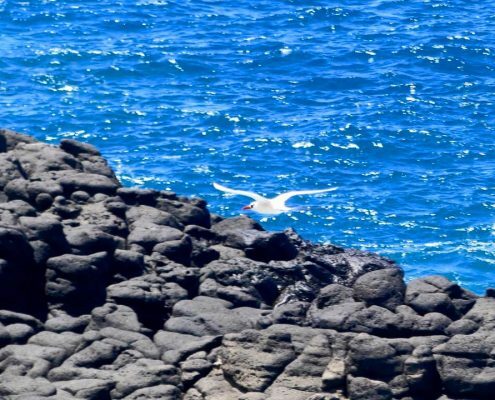 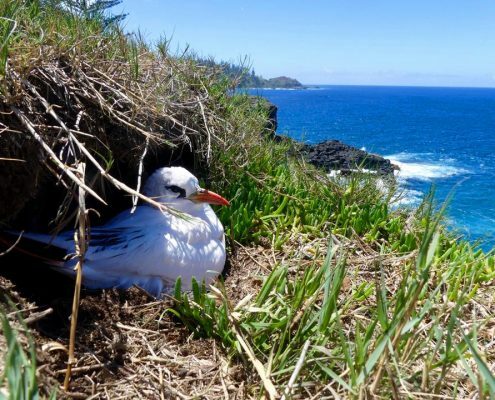 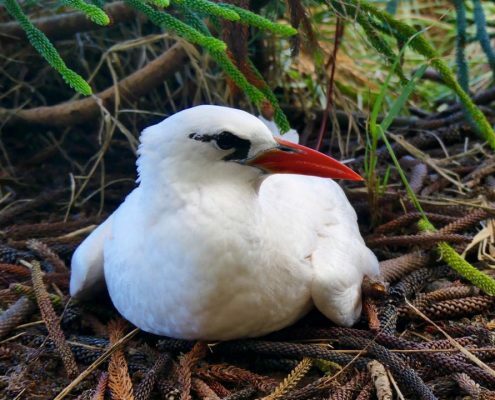 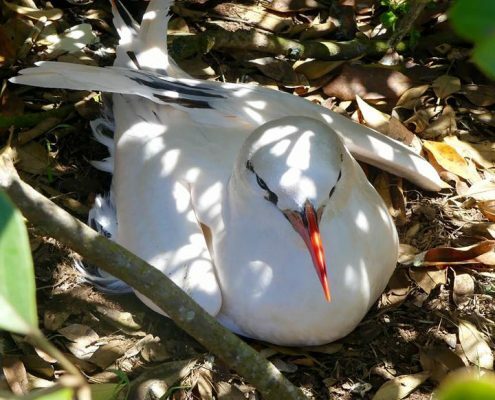 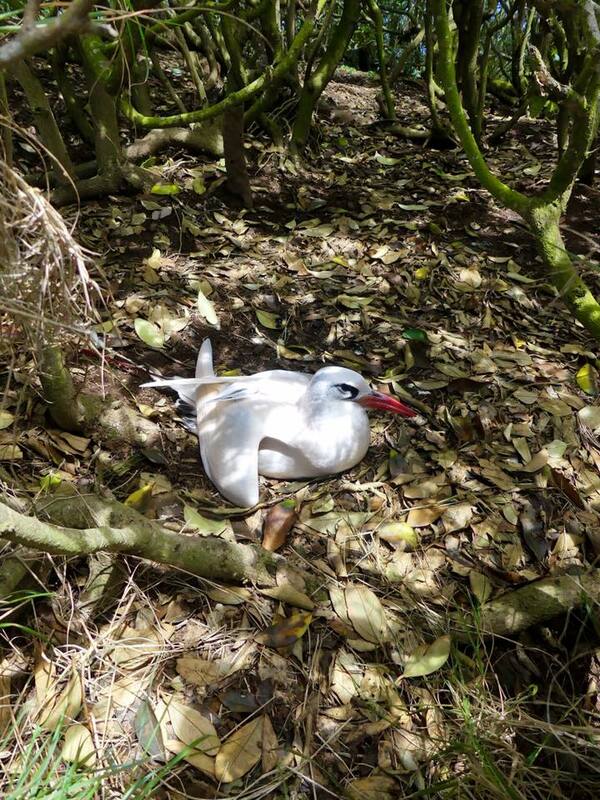 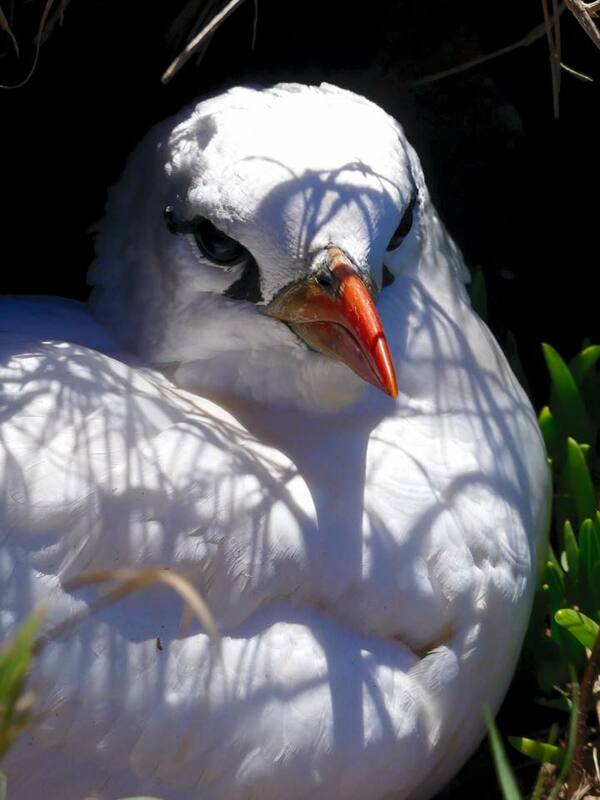 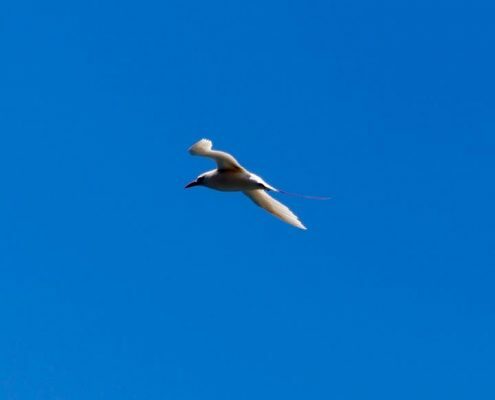 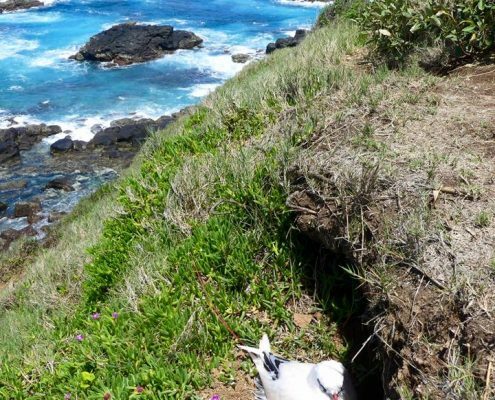 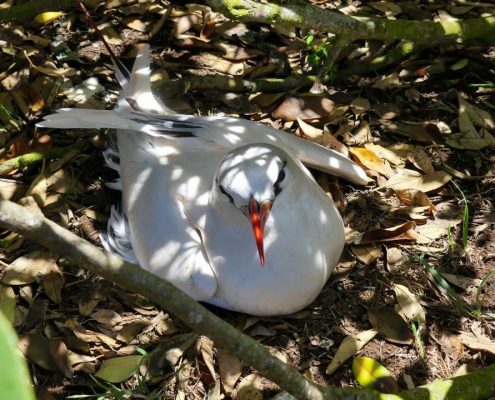 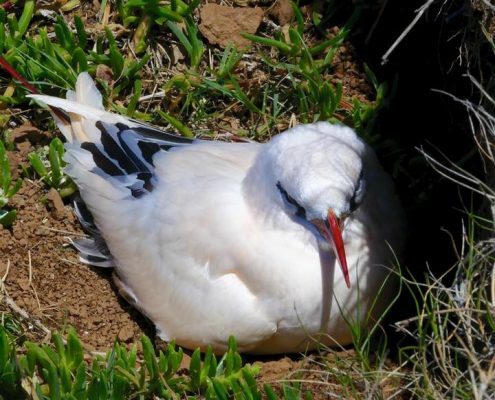 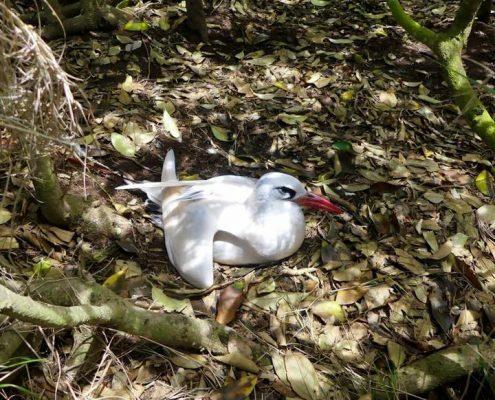 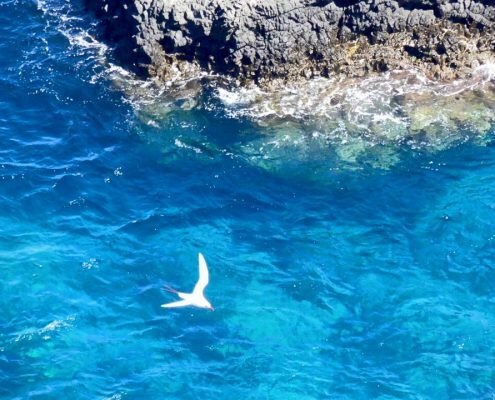 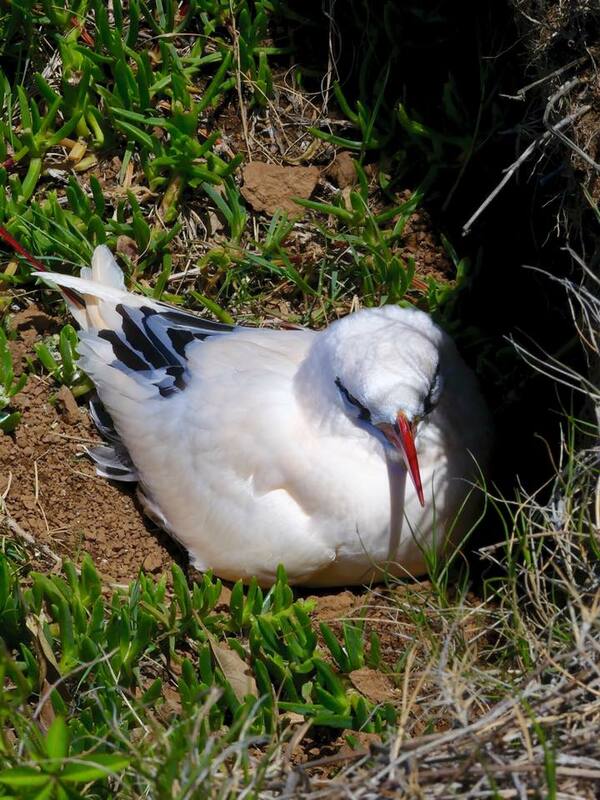 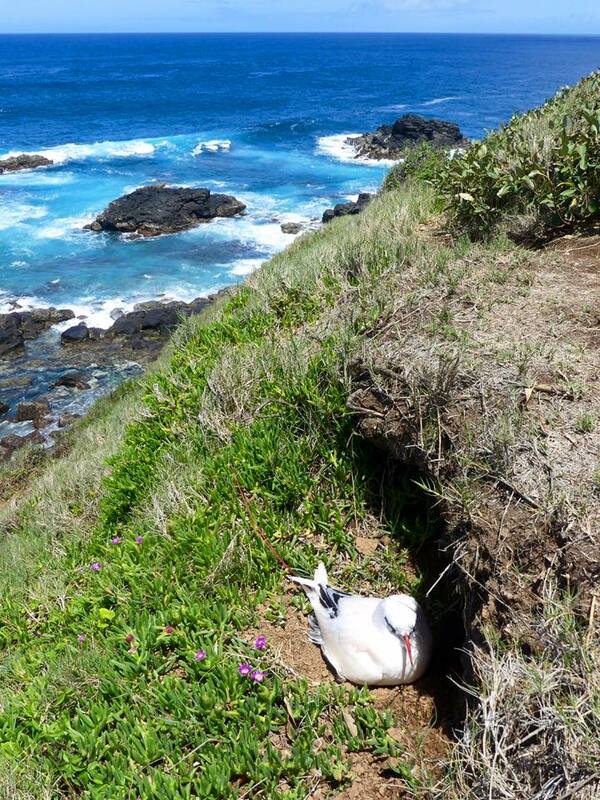 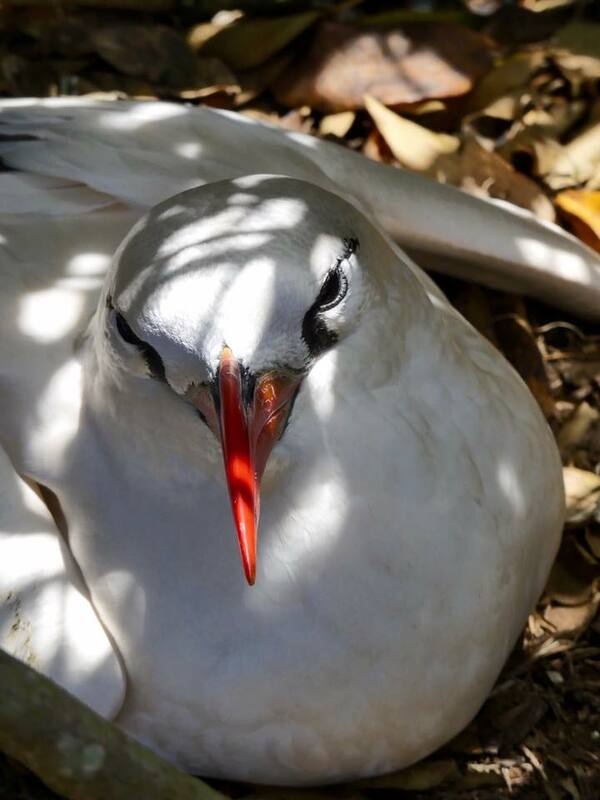 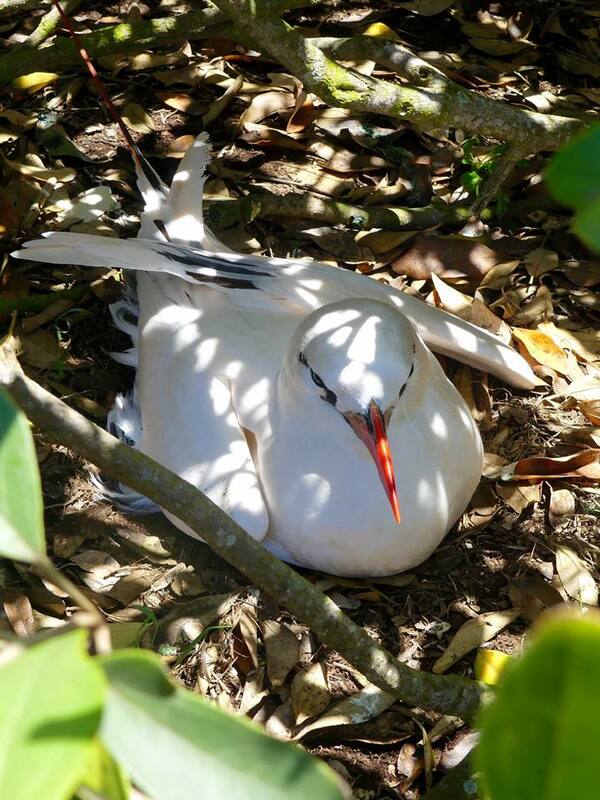 On the cliffs around the Rocky Point in the Norfolk Island you can come very close and personal with nesting red-tailed tropicbirds. 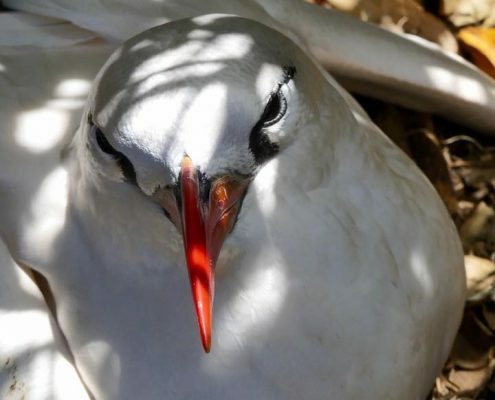 These large seabirds are beautiful both in flight and on land – snow-white with black eyes and wingtips and bright red beaks and twin-split tails. 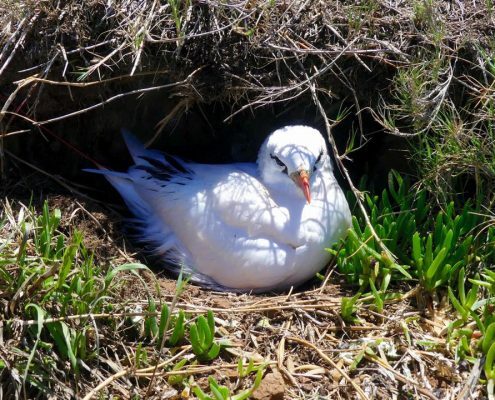 Endangered in many places around the world, they feel quite safe on Norfolk and as you approach them, they feel hardly anxious or scared. 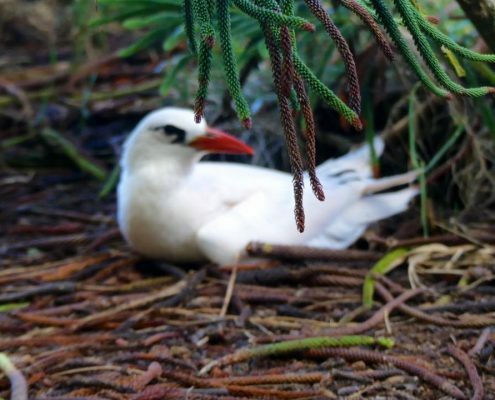 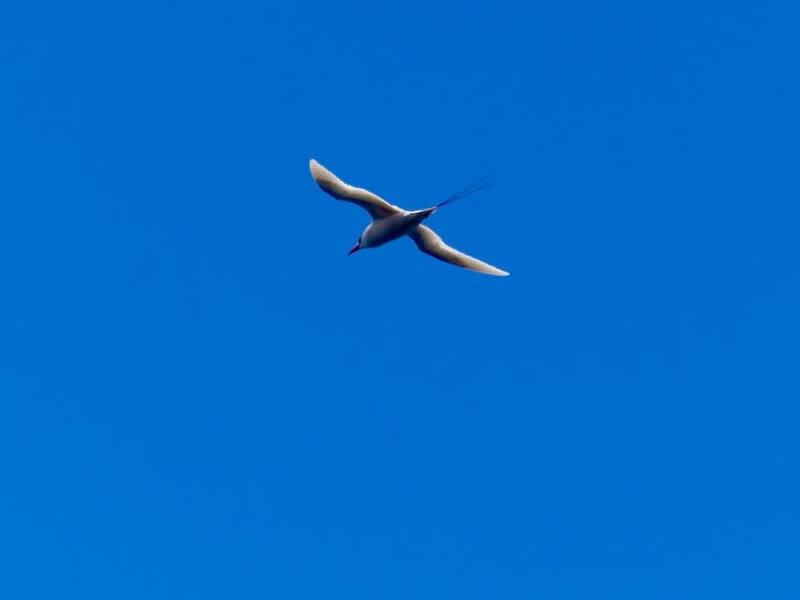 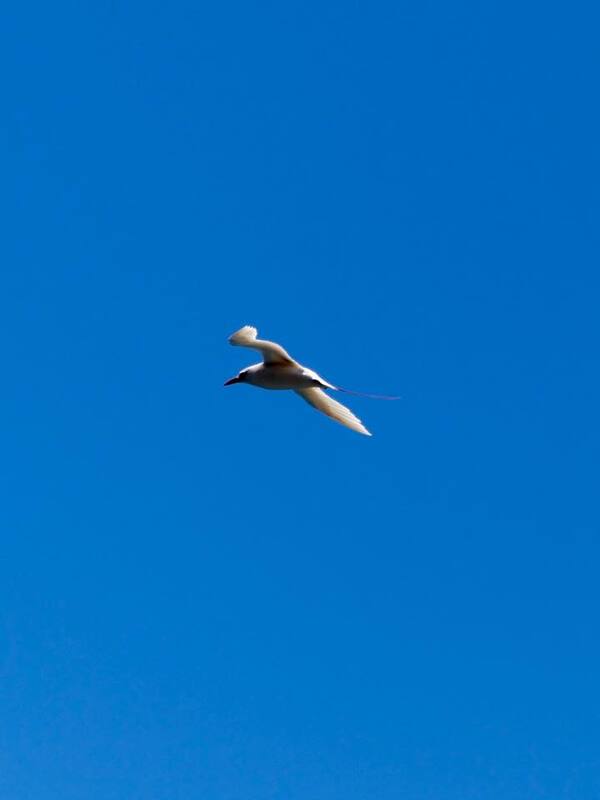 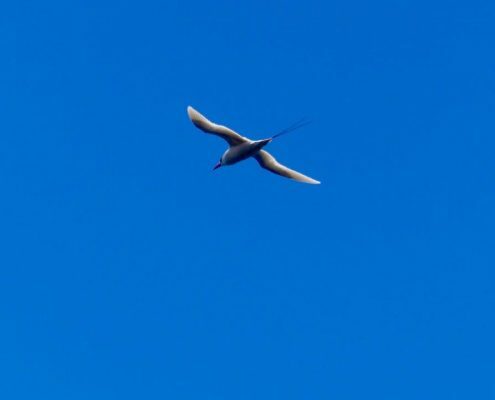 Interestingly, tropicbirds feed almost exclusively on flying fish, performing acrobatic shallow dives for it. 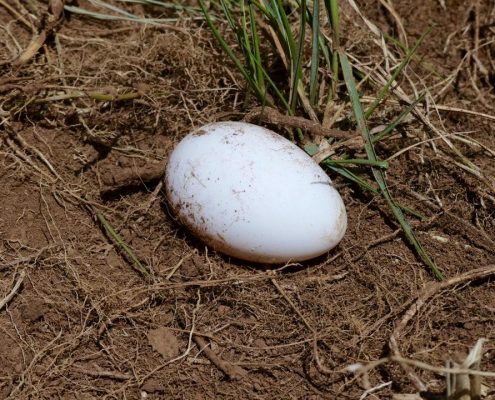 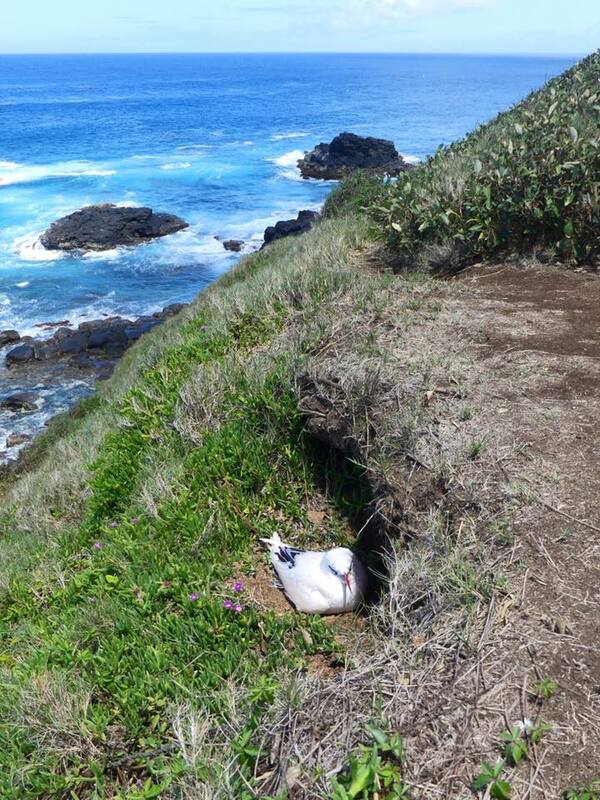 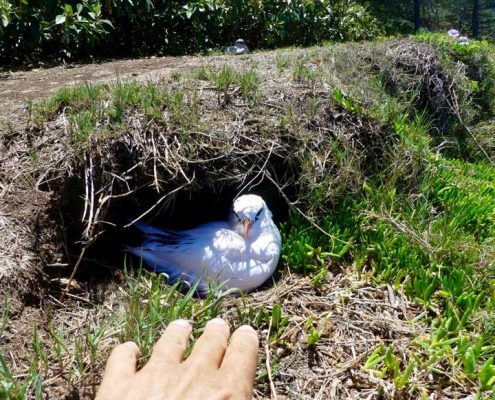 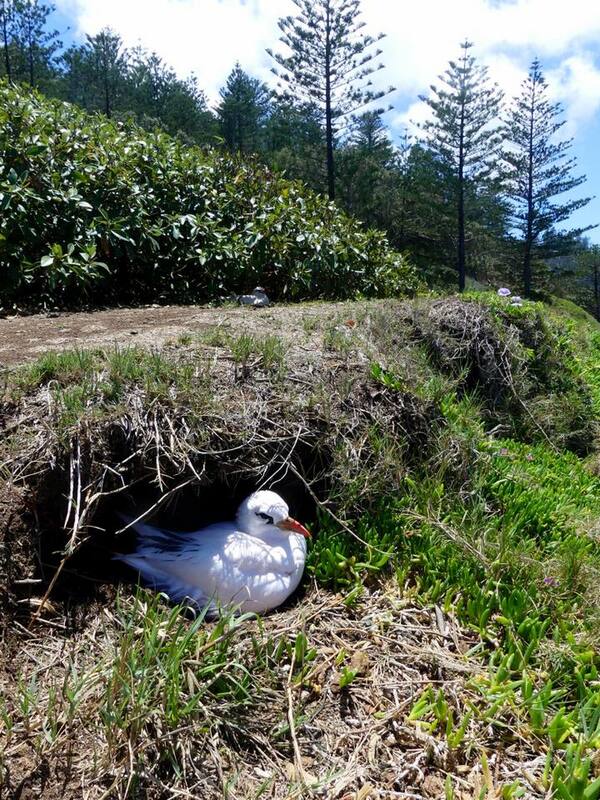 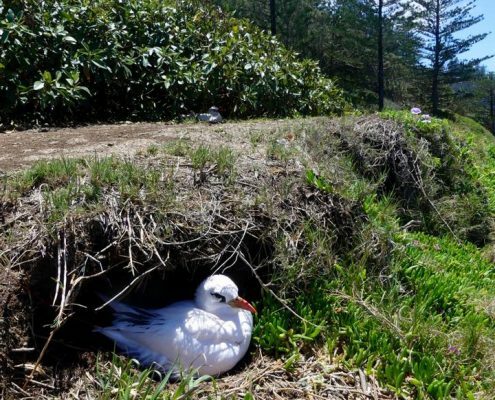 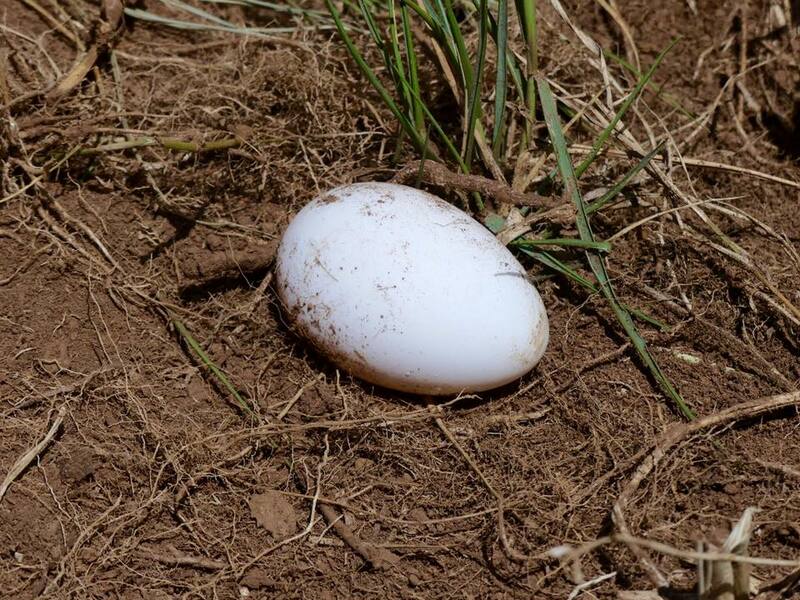 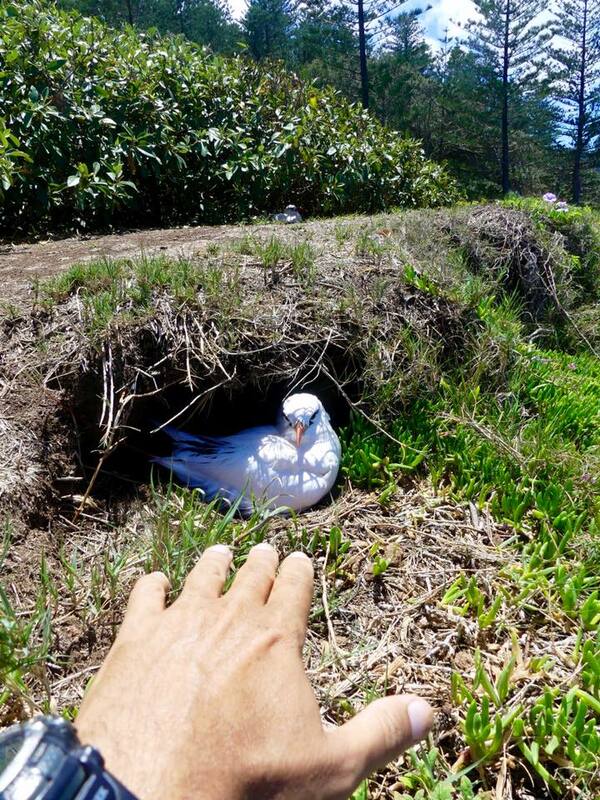 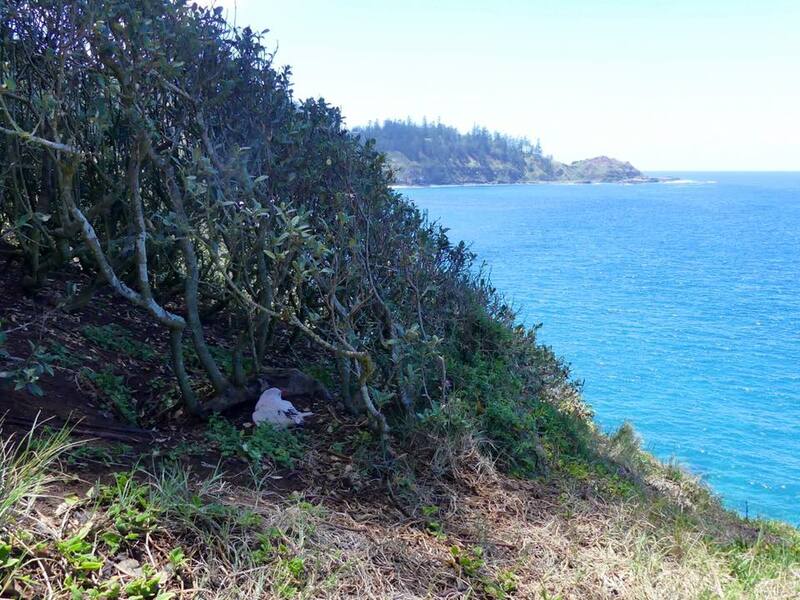 Also, they only have a single hatchling that stays in the nest for almost double the time of other seabirds.